Here's another outfit picture from our trip to New York last week. I braved the cold and took off my coat for a few seconds to snap this picture. I'm so glad we went last week, especially since there's a blizzard hitting New York this week (to my east coast readers I hope you're staying warm and safe). 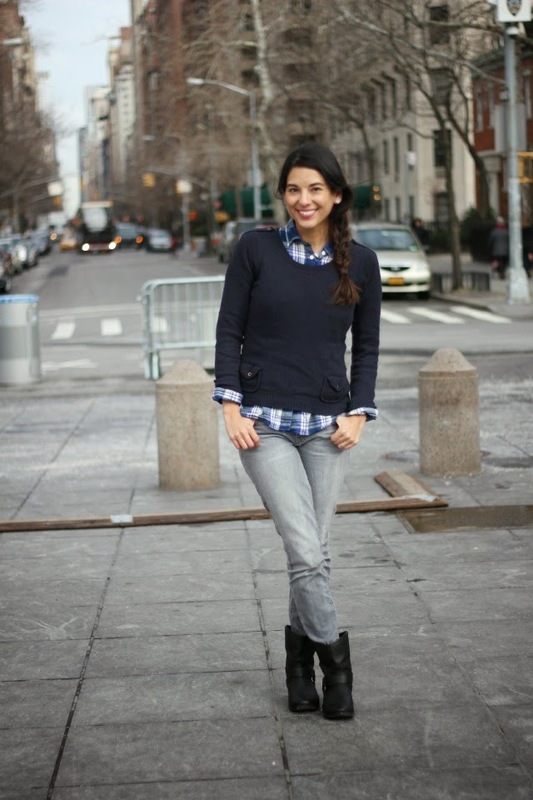 I paired this plaid button-down shirt from J.Crew (which I scored for under $30 bucks from their online outlet store) with this MNG by MANGO sweater and grey skinny jeans.